Two pathfinders, or test versions, of solid rocket booster segments for NASA’s Space Launch System (SLS) rocket arrived at the agency’s Kennedy Space Center in Florida. The booster segments were transported from Promontory, Utah, for pathfinder operations at the Rotation, Processing and Surge Facility (RPSF) to prepare for Exploration Mission-1. 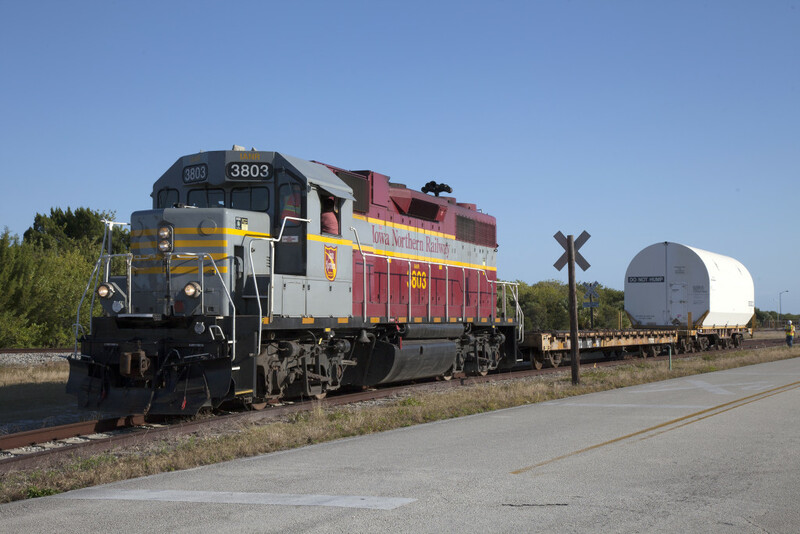 The boosters, which are inert, were stored at the Jay Jay rail yard in Titusville, Florida, to prepare for the final move. The first booster was transported onto the center Feb. 23 by rail aboard a train service provided by Goodloe Transportation and was delivered to the RPSF. Inside the RPSF, the booster segment was offloaded and inspected. Its cover was removed, and the segment will undergo additional inspections to confirm it is ready for testing. The second booster segment which arrived later in the day will undergo the same preparations. During the pathfinder operations, engineers and technicians with NASA and industry partners will conduct a series of lifts, moves and stacking operations using the booster segments and an aft skirt, with aft motor and aft exit cone attached, to simulate how the boosters will be processed in the RPSF to prepare for an SLS/Orion mission. The stacking operations will help train ground personnel before they handle flight hardware for the most powerful rocket in the world that will start to arrive at Kennedy in less than two years. The pathfinder operations also will help to test recent upgrades to the RPSF facility as the center continues to prepare for the EM-1 mission, deep-space missions, and the journey to Mars. 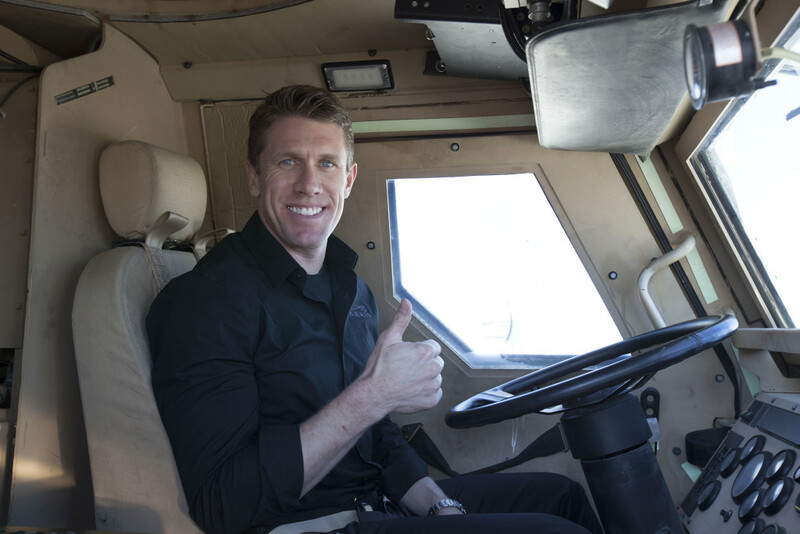 NASCAR driver Carl Edwards visited NASA’s Kennedy Space Center in Florida and slid behind the wheel of an entirely different kind of car: a Mine-resistant, Ambush-protected vehicle better known as MRAP. 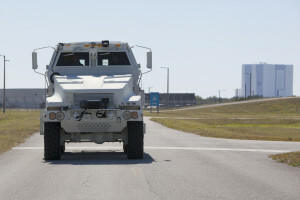 The agency’s Ground Systems Development and Operations Program selected the MRAP to serve as an upgraded version of an armored escape vehicle that would allow astronauts to evacuate the launch pad in the event of an emergency. While at Kennedy, Edwards stopped by the massive Vehicle Assembly Building and Launch Pad 39B. Both facilities are being prepared to support assembly and launch of NASA’s next-generation heavy-lift rocket, the Space Launch System. Edwards toured the spaceport ahead of Sunday’s Daytona 500 race, in which he is driving the No. 19 car for Joe Gibbs Racing. NASA’s Kennedy Space Center in Florida received another work platform that will be used to modernize the massive Vehicle Assembly Building (VAB), which is where the agency will test and process the SLS for flight before it is rolled out onto the launch pad. The agency’s Ground Systems Development and Operations (GSDO) Program at Kennedy continues to make progress preparing the center to launch NASA’s Space Launch System (SLS) rocket and Orion spacecraft that will take humans beyond Earth orbit and on to deep space. The arrival of the second half of the G-level work platforms at Kennedy brings the total to eight platforms, or four levels of work platforms being readied for the VAB. The G platforms are the fourth of 10 levels of platforms that will support processing of the SLS rocket and Orion spacecraft for deep space missions including to an asteroid and the journey to Mars. Tillet Heavy Haul Inc. of Titusville, Florida, transported the platform from Sauer Co. in Oak Hill, Florida to Kennedy Space Center for Hensel Phelps Construction Co. of Orlando, Florida. A contract to modify the VAB’s High Bay 3 was awarded to Hensel Phelps in March 2014. 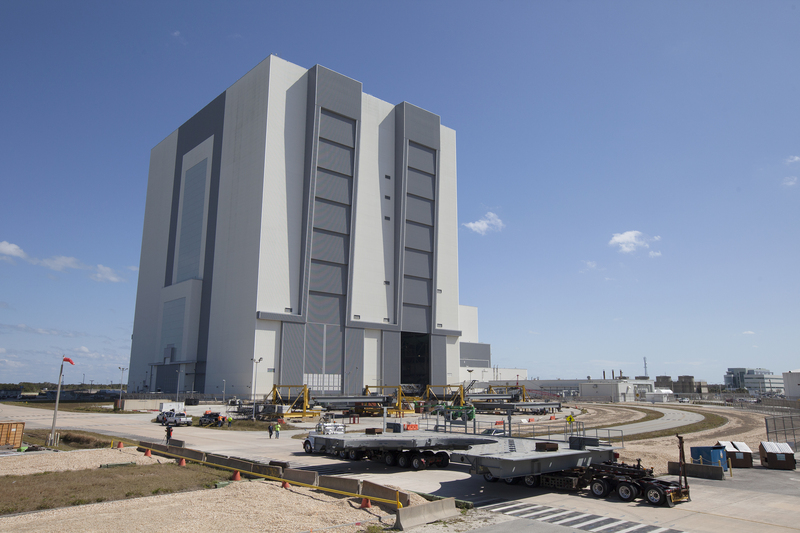 A total of 10 levels of new platforms, 20 platform halves altogether, will be used to access, test and process the SLS rocket and Orion spacecraft in High Bay 3. In addition, 20 new elevator landings and access ways are being constructed for the platform levels. The high bay also will accommodate the 355-foot-tall mobile launcher tower that will carry the rocket and spacecraft atop the crawler-transporter to Launch Pad 39B. The platforms are being fabricated by Steel LLC of Scottdale, Georgia, and assembled by Sauer. The GSDO team at Kennedy is overseeing upgrades and modifications to the high bay to prepare for NASA’s deep space exploration missions. The first three sets of platforms, H, J and K, were delivered to the center last year.